2009-04-28 Application filed by 애플 인크. filed Critical 애플 인크. 본 발명은 SDMA 섹터화된 셀룰러 네트워크에서의 신호 강도 가중치들의 향상된 적용을 제공한다. The present invention provides an improved application of the signal intensity of the weight in a SDMA sectorized cellular network. 향상된 신호 강도 가중치 적용은 새로운 코드북 서브세트로부터의 가중치들의 향상된 선택을 통해 또는 더 큰 코드북 서브세트로부터의 가중치들의 선택에 의해 수행된다. Improved signal strength weighting is performed by the selection of the weights from the new codebook subset selection for improved weight or through a larger codebook subset from. 추가 실시예에서, 안테나 빔 인덱스 또는 비트맵을 이용하여 SDMA 섹터화된 셀룰러 네트워크에서 최상의 빔(들)을 선택할 수 있다. In a further embodiment, by using the antenna beam index or bitmap may select the best beam (s) in a SDMA sectorized cellular network. 다른 실시예에서는, 업링크 또는 다운링크 송신 패킷 내의 필드 또는 팩터가 어느 지향성 송신 빔이 송신에 가장 적합한지 또는 언제 지향성 송신 빔이 활성화되어야 하는지를 지시할 수 있다. In other embodiments, if the uplink or downlink or a field factor in a transmission packet which directional transmission beam is best suited if or when the directional transmission beam should be activated in the transmission can be directed. 본 출원은 2008년 4월 29일자로 출원된 특허 가출원 제60/048,716호와 관련되며, 이 선행 출원에 대해 35 USC§119(e)에 따라 우선권을 주장한다. This application is associated with a Provisional Patent Application No. 60 / 048,716, filed April 29, 2008, claiming priority in accordance with the 35 USC§119 (e) for a prior application. 이 특허 가출원은 또한 본 특허 출원에 참고 문헌으로 포함된다. The Provisional Patent Application is also incorporated by reference in this patent application. 본 발명은 다수의 송신 안테나를 구비하는 이동 통신 시스템에서 코드북 서브세트의 선택을 위한 시스템 및 방법에 관한 것이다. The present invention relates to a system and method for selection of a codebook subset in a mobile communication system having a plurality of transmission antennas. 음성 및 고속 데이터 서비스들을 제공하기 위한 이동 무선 운영자들에 대한 요구가 증가하고 있으며, 이와 동시에 그러한 운영자들은 전체 네트워크 비용을 줄이고, 가입자들에게 그러한 서비스들을 제공하기 위해, 기지국당 더 많은 사용자를 지원하기를 원한다. And the increasing demand for mobile wireless operators to provide voice and high-speed data services and at the same time, such operators to reduce overall network costs, and to deliver to subscribers of such services, and to support more users per base station want. 결과적으로, 더 높은 데이터 레이트 및 더 높은 용량을 가능하게 하는 무선 시스템들이 필요하다. As a result, there is a need to higher data rates and more wireless systems that enable higher capacity. 무선 서비스들에 이용 가능한 스펙트럼은 제한되어 있으며, 고정된 대역폭 내에서 트래픽을 증가시키고자 하는 이전의 시도들은 시스템 내의 간섭을 증가시켰고, 신호 품질을 저하시켰다. And the spectrum available for wireless services is limited, the prior attempts to increase traffic within a fixed bandwidth and those who increased the interference in the system was reduced signal quality. 종래 기술의 전방향 안테나들이 기지국에서 사용될 때 한 가지 문제가 발생하는데, 그 이유는 각각의 사용자의 신호의 송신/수신이 네트워크 상의 동일 셀 장소에 위치하는 다른 사용자들에 대한 간섭의 소스가 되어 전체 시스템 간섭이 제한되게 하기 때문이다. Conventional omnidirectional antenna of the techniques for generating is a problem when it is used at the base station, full reason is the source of interference to other users by the transmission / reception of each user's signal is located in the same cell location on the network, because the system is to be interference limited. 그러한 전방향 안테나가 도 1(a)에 도시되어 있다. Such omni-directional antenna is shown in Figure 1 (a). 이러한 전통적인 이동 셀룰러 네트워크 시스템들에서, 기지국은 셀 내의 이동 유닛들의 위치에 관한 정보를 갖지 않으며, 무선 커버리지를 제공하기 위해 셀 내의 전방향으로 신호를 방출한다. In such conventional mobile cellular network systems, the base station does not have information about the position of the mobile unit in the cell, and emits a signal in all directions within the cell to provide radio coverage. 이것은 결과적으로 동일 주파수를 이용하는 인접 셀들, 이른바 공통-채널 셀들에 대한 간섭을 유발하는 것에 더하여, 도달할 이동 유닛들이 존재하지 않을 때 송신 전력을 낭비하게 된다. This results in adjacent cells using the same frequencies, so-called common-is a waste of transmission power when in addition to causing interference for the channel cells, does not exist, the mobile unit will be reached. 또한, 수신시에, 안테나는 잡음 및 간섭을 포함하는 모든 방향으로부터 오는 신호들을 수신한다. Further, at the time of reception, the antenna receives signals coming from all directions including noise and interference. 이러한 타입의 간섭을 줄이는 효과적인 방법은 송신기 및 수신기에서 다수의 안테나를 지원하는 다중 입력-다중 출력(MIMO) 기술을 이용하는 것이다. Effective way to reduce the interference of this type is a multiple-input that supports multiple antennas at the transmitter and receiver to use the multiple-output (MIMO) technology. 셀룰러 네트워크 상의 다운링크와 같은 다중 안테나 방송 채널에 대해, 셀을 다수의 섹터로 분할하고, 섹터화된 안테나들을 이용하여 다수의 사용자와 동시에 통신함으로써 다운링크 처리량을 최대화하기 위한 송신/수신 전략들이 개발되어 왔다. For a multi-antenna broadcast channel, such as the downlink on a cellular network, and dividing the cell into a plurality of sectors, transmit / receive strategies to maximize the downlink throughput by communication using sectorized antennas at the same time as the number of users to develop It has been. 그러한 섹터화된 안테나 기술은 간섭 레벨을 줄이고 시스템 용량을 향상시키는 크게 향상된 솔루션을 제공한다. Such sectorized antenna technology to reduce the interference level, provides a significantly improved solution to improve the system capacity. 섹터화된 안테나 시스템은 통신 세션에 관련된 다수의 수신기(사용자 장비, 셀폰 등)와 동시에 통신하는 중앙 송신기(셀 사이트/타워)에 의해 특성화된다. The sectorized antenna system is characterized by a central transmitter (cell site / tower) that simultaneously communicate with multiple receivers (user equipment, cell phone, etc.) involved in the communication session. 이러한 기술에서, 각각의 사용자의 신호는 해당 특정 사용자의 방향으로만 기지국에 의해 송신되고 수신된다. In this technique, a signal of each user is only in the direction that particular user is transmitted and received by the base station. 이것은 시스템이 시스템 내의 전체 간섭을 크게 줄이는 것을 가능하게 한다. This enables the system to significantly reduce the total interference in the system. 도 1(b)에 도시된 바와 같이, 섹터 안테나 시스템은 사용자의 위치에 기초하여 상이한 송신/수신 빔들을 시스템 내의 각각의 사용자 또는 셀룰러 네트워크 내의 상이한 방향들을 향해 지향시키는 안테나들의 어레이로 구성된다. As shown in Figure 1 (b), the sector antenna system consists of the antenna array for directing towards respective user or different directions in the cellular network in the transmission / reception beam based on the different location of the user system. 송신 및 수신 양자에서의 기지국의 방사 패턴은 각각의 사용자의 방향으로 최고 이득을 얻도록 해당 사용자에 대해 적응된다. Radiation pattern of the base station in both transmission and reception is adaptive for the user to obtain highest gain in the direction of each user. 섹터 안테나 기술을 이용함으로써 그리고 셀 내의 이동 유닛들의 공간 위치를 이용함으로써, 공간 분할 다중 액세스(SDMA)라고 하는 통신 기술들이 성능 향상을 위해 개발되었다. By using a sectored antenna technology and has been developed by using the spatial positions of the mobile units within the cell, communication techniques called space-division multiple access (SDMA) are for better performance. 공간 분할 다중 액세스(SDMA) 기술들은 본질적으로 빔 형성 및/또는 사전 코딩을 통해 동시에 송신하는 다수의 상관없는 공간 파이프를 생성하며, 이를 통해 다중 액세스 무선 통신 시스템들에서 우수한 성능을 제공할 수 있다. Space division multiple access (SDMA) technology can provide superior performance in essence, beam forming and / or to generate a pre-coded through a plurality of care-free space to transmit at the same time, a pipe, a multiple access through which a wireless communication system. 신호들의 송신 및 수신을 직교하여 지향시키는 이러한 방법은 빔 형성이라 하며, 기지국에서의 진보된 신호 처리를 통해 가능하게 된다. This method of orthogonally directing transmissions and reception of signals is referred to as beamforming, it is made possible through advanced signal processing at the base station. 빔 형성에서, 각각의 사용자의 신호는 각각의 안테나로의 그리고 각각의 안테나로부터의 신호의 크기 및 위상을 조정하는 복소수 가중치들과 곱해진다. In beamforming, the signal of each user is multiplied with complex weights for adjusting the magnitude and phase of the signal and from each antenna to each antenna. 이것은 도 2에서 그래픽으로 볼 수 있듯이 섹터 안테나들의 어레이로부터의 출력이 원하는 방향의 송신/수신 빔을 형성하게 하며, 다른 방향들에서의 출력을 최소화한다. This is also, as shown graphically in two, and the output from the sector of the antenna array to form a transmit / receive beam in the desired direction and minimizes the output in other directions. 전통적인 다중 사용자 다중 안테나 시스템들에서는 공간적으로 직교하는 빔 형성 송신들에 가중치들을 부과하기 위해 직교 사전 코더를 이용하는 공지 방법들이 존재하지만, 이러한 공지 방법들 및 시스템들은 사전 코딩 동작들에서 최적화되지 않았으며, 따라서 네트워크 상에서의 성능을 최적화할 수 없다. It was a traditional multi-user multi-antenna systems, the known method of using a quadrature pre-coder to impose the weights to the beam forming transmission, which is spatially orthogonal to exist, but these known methods and systems are not optimized in the pre-coding operation, Therefore, you can not optimize the performance of the network. 본 발명은 이러한 문제들을 해결한다. The present invention solves these problems. 더욱이, 단일 기지국들에서의 많은 안테나의 설치는 본 발명에 의해 해결되는 많은 과제를 가질 수 있다. Moreover, the installation of the number of antennas at a single base station may have a number of challenges to be solved by the present invention. 이용 가능한 스펙트럼 대역은 통상적으로 제한되면서, 데이터 레이트의 요구는 계속 증가할 것이므로, 본 발명은 셀룰러 네트워크에서의 사전 코딩을 위한 공지 방법들을 능가하는 이용 가능 스펙트럼의 확장을 또한 지원한다. As the available spectrum bandwidth is typically limited to, requirements for data rate because it will continue to increase, the present invention also support the expansion of the spectrum can be used to surpass the known method for pre-coding in a cellular network. 시스템 상의 다양한 컴포넌트들은 임의의 특정 네트워크 구성 또는 통신 시스템 상에서 사용되는 명명법에 따라 상이한 명칭들로 지칭될 수 있다. The various components in the system may be referred to by different names depending on the nomenclature used on any particular network configuration or communication system. 예를 들어, "사용자 장비"는 케이블 접속 네트워크 상의 PC들은 물론, 인터넷 액세스, 이메일, 메시징 서비스 등과 같은 다양한 특징들 및 기능을 갖는 이동 단말기들("셀폰들")의 다양한 제조들 및 모델들에 의해 경험될 수 있는 바와 같이 무선 접속에 의해 셀룰러 네트워크에 직접 결합되는 다른 타입의 장비도 포함한다. For example, "user equipment" on various manufacture and models of course, are a PC on the cable access network, mobile terminals having various features and functionality, such as Internet access, email, messaging service ( "cell phones with") by a wireless connection as is experienced by the subject and also includes other types of devices that are directly coupled to the cellular network. 또한, "수신기" 및 "송신기"라는 단어들은 통신이 어느 방향으로 송신 및 수신되고 있는지에 따라 "액세스 포인트(AP)", "기지국" 및 "사용자"로서 지칭될 수 있다. In addition, the "receiver" and "transmitter" word may communicate can be referred to as "access point (AP)", "base station" and "user" as they are being sent and received in either direction. 예컨대, 다운링크 환경들에서 액세스 포인트(AP) 또는 기지국(eNodeB 또는 eNB)은 송신기이고, 사용자는 수신기인 반면, 업링크 환경들에서는 액세스 포인트(AP) 또는 기지국(eNodeB 또는 eNB)이 수신기이고, 사용자가 송신기이다. For example, a downlink access point in the environment (AP) or base station (eNodeB or eNB) is the transmitter, the user and while the receiver, an uplink environment of the access point (AP) or base station (eNodeB or eNB) is the receiver, the user is the transmitter. 이러한 용어들(송신기 또는 수신기 등)은 제한적으로 정의되는 것을 의도하는 것이 아니라, 네트워크 상에 위치하는 다양한 이동 통신 유닛들 또는 송신 장치들을 포함할 수 있다. These terms (such as transmitter or receiver) is not to intended to be limited to the definition, it may include various mobile communication units or transmission devices located on the network. 본 발명은 다수의 송신 안테나를 구비하는 이동 통신 시스템에서 코드북 서브세트의 선택을 위한 시스템 및 방법을 제공한다. The present invention provides a system and method for the selection of the codebook subsets in a mobile communication system having a plurality of transmission antennas. 본 발명의 목적들 및 특징들은, 동일 번호들이 동일 요소들을 나타내는 첨부 도면들과 관련하여 읽을 때 아래의 상세한 설명 및 첨부된 청구항들로부터 더 쉽게 이해될 것이다. The objects and features of the present invention, will be more easily understood from the same number are times when read in conjunction with the accompanying drawings represent the same element the following detailed description and appended claims. 도 1은 전방향 안테나(a) 및 섹터화된 안테나(b)의 도면. 1 is a view of the omni-directional antenna (a) and a sectorized antenna (b). 도 2는 원하는 사용자에게로 지향되는 가중된 섹터화된 송신 빔의 도면. Figure 2 is a diagram of a weighted sectorized transmission beam directed to a desired user. 도 3은 사전 코딩을 이용하는 다중 안테나 송신 시스템의 도면. Figure 3 is a diagram of a multi-antenna transmission system using a pre-coding. 도 4는 상수 계수에 대한 코드북 서브세트 표. Figure 4 is a codebook subset table for the constant coefficient. 도 5는 안테나 선택에 대한 코드북 서브세트 표. 5 is a codebook subset table for antenna selection. 도 6은 사전 코딩 코드북 서브세트 표. 6 is a precoding codebook subset table. 도 7은 사전 코딩 코드북 서브세트 표. 7 is a precoding codebook subset table. 도 8은 본 발명에서 제안되는 사전 코딩 코드북 서브세트 표. 8 is a precoding codebook subset table proposed in the present invention. 도 9는 본 발명에서 제안되는 사전 코딩 코드북 서브세트 표. 9 is a precoding codebook subset table proposed in the present invention. 도 10은 본 발명에서 제안되는 더 큰 사전 코딩 코드북 서브세트 표. 10 is a table larger precoding codebook subset to be proposed by the present invention. 도 11은 본 발명에서 제안되는 사전 코딩 코드북 서브세트 표. 11 is a precoding codebook subset table proposed in the present invention. 도 1(a)에는, 화살표들 125, 115, 135 및 140으로 표시된 다양한 방향으로 균일하게 방사상 외부로 송신하는 전방향 안테나(105)의 전체적인 송신 아키텍처(100)가 도시되어 있다. Figure 1 (a), there are arrows 125, 115, 135 and evenly in various directions indicated by the 140 overall transmission architecture 100 of an omnidirectional antenna 105 that transmits radially outside is shown. 커버리지 영역의 둘레는 송신 아키텍처(100)에 대해 영역(120)으로 표시된다. Periphery of the coverage area is represented by the area 120 for the transmission architecture 100. 도 1(b)에 도시된 섹터화된 안테나 아키텍처(140)를 이용하여 향상된 효율이 달성되었다. Also the improved efficiency was achieved by using the sectorized antenna architecture 140 shown in 1 (b). 아키텍처(140) 내에는 다수의 안테나(145, 147, 148)가 도시되어 있으며, 각각의 안테나는 커버리지 영역(150)에 대한 지향성 송신(175), 커버리지 영역(157)에 대한 송신(190) 및 커버리지 영역(155)에 대한 지향성 송신(180)으로 표시된 셀룰러 네트워크의 상이한 영역을 지향한다. Architecture 140 within has a plurality of antennas (145, 147, 148) are shown, each antenna transmission 190 for the directional transmission 175, the coverage area 157 to coverage area 150 and directed to a different region of the cellular network shown by the directional transmission 180 for coverage area 155. 이와 관련하여, 섹터화된 아키텍처에 의해 시스템 용량을 향상시키는 것이 가능하다. In this connection, it is possible to improve the capacity of the system by the sectorized architecture. 다양한 송신 신호들을 가중함으로써, 도 2에 도시된 바와 같이, 섹터화된 아키텍처(200)에 대해 추가적인 효율들 및 감소된 간섭들이 달성될 수 있다. By weighting the various transmission signals, also, it can be achieved further efficiency and reduced interference for the sectorized architecture 200. As illustrated in Fig. 섹터화된 안테나 아키텍처(200)에서는 다수의 안테나(215, 220, 227, 230)가 송신들을 지향시킨다(또는 송신들을 수신한다. 안테나 요소(230)와 같은 안테나 요소들의 어레이에 적용되는 한 세트의 가중 인자들로 신호를 스케일링함으로써 지향성 안테나 빔(235)이 형성된다. 원하는 사용자(205)는 커버리지 영역(235)에서 원하는 송신(245)을 수신하는 것으로 도시되어 있으며, 이러한 원하는 송신은 사용자(205)에게 지향되도록 의도된 무겁게 가중된 송신이다. 간섭 사용자(210)는 사용자(210)가 만나는 간섭을 줄이기 위해 덜 가중된 송신 신호들(240)을 갖는 것으로 도시되어 있다. Receives sectorized antenna architecture 200 in the directs the transmitted plurality of antennas (215, 220, 227, 230 or transmit. One set are applied to the array of antenna elements, such as antenna elements 230, this by scaling the signal with a weighting factor directional antenna beam 235 is formed the desired user 205 is shown as receiving a transmitted (245) from the coverage area 235, such a desired transmission user (205 ) to a a heavily weighted so that the intended oriented transmission. interfering user 210 is shown as having the less the weighted transmission signals to reduce interference user 210 are met (240). 도 3에는, 데이터 입력(301)이 사용자 선택 컴포넌트(310) 내로 공급되는 사전 코딩 아키텍처(300)가 도시되어 있다. Figure 3 is provided with a data input 301, the pre-coding architecture 300 is supplied into the user selection component 310 is shown. 사용자 선택 컴포넌트(310)는 적절한 데이터를 적절한 데이터 신호 라인(315)을 통해 사전 코딩 컴포넌트(321)로 전송한다. A user selection component 310 sends the appropriate data to the pre-encoding component 321 over the appropriate data signal line 315. 각각의 사용자(350, 351, 352)에 대한 적절한 데이터는 채널 인코딩된, 인터리빙된, 레이트 매칭된, 스크램블된 그리고/또는 변조된 심벌들로 구성될 수 있다. Appropriate data for each user (350, 351, 352) may consist of a channel, the interleaved encoding, rate matching, scrambling and / or modulation symbols. 사전 코딩 컴포넌트(321)는 다수의 안테나(320, 322 또는 325) 상에서 전송될 신호 강도에 대한 적절한 가중을 제공한다. Pre-coding component 321 provides the appropriate weighting for the signal intensity to be transmitted on a plurality of antennas (320, 322 or 325). 목표 사용자(350, 351, 352)에 기초하여, 그러한 목표 사용자 각각에 대한 다수의 안테나의 신호 강도 가중은 원하는 사용자에 대한 데이터 전송의 효율을 높이고 시스템 상의 다른 사용자들에 대한 간섭을 줄이도록 조정될 것이다. On the basis of the target user (350, 351, 352), the signal strength weighting of the multiple antennas for such target users, each will be adjusted to improve the efficiency of data transmission for a desired user to reduce interference to other users on the system . 신호 강도에 대한 적절한 가중치들을 제공하기 위해 사전 코딩 컴포넌트(321)에서 사용될 특정 코드들의 선택은 도 4-11에 작성된 여러 표에 도시되어 있다. To provide the appropriate weight for the signal strength, the selection of a particular code to be used in pre-encoding component 321 is shown in various tables created in Figure 4-11. 도 4에는 상수 계수 2-Tx 코드북이 도시되어 있고, 도 5에는 안테나 선택 2-Tx 코드북이 도시되어 있다. 4 has a constant coefficient of 2-Tx codebook is shown, Figure 5 shows the antenna selection 2-Tx codebook is shown. TS 36.211 v8.2.0 표준에 따라 허용되는 코드북이 도 6에 도시되어 있다. The code book is allowed in accordance with the TS 36.211 v8.2.0 standard is shown in FIG. 도 4, 5 및 6의 코드북들을 이용하는 코드북 선택에 대한 두 가지 가능한 구성이 존재한다. Fig. 4, 5 and 6 are two possible configurations for the codebook selection using the codebook of the present. 일 구성에서, 접속 포인트(기지국/안테나)는 사용자가 위치하는 섹터에서 사용하기 위해 도 4 또는 5에 도시된 2개의 서브세트 중 하나를 선택할 수 있다. In one configuration, the access point (base station / antenna) may select one of the two subsets shown in FIG. 4 or 5 for use in the sector that the user is located. 접속 포인트는 도 4 또는 5에 도시된 코드북만을 이용하는 것 등에 의해 동일 섹터 내의 모든 사용자 장비에 대한 서브세트 코드북을 선택한다. Access point selects a subset codebook for all user equipment in the same sector example by using only the codebook shown in Figure 4 or 5. 접속 포인트는 사용자 장비의 채널 조건에 대한 소정 지식에 기초하여 사용자 장비에 대한 코드북 서브세트를 선택한다. Access point based on a predetermined knowledge of the channel conditions of the user equipment selects the codebook subset for the user equipment. 채널 조건 정보는 사용자 장비의 위치 정보, 사용자 장비로의 송신들에 대한 에러 레이트, 사용자 장비로의 재송신들의 수, 및 다운링크 송신에 대한 빔 패턴과 유사한 빔 패턴을 사용하는 업링크 수신 빔 형성과 더불어 업링크 사운딩 또는 다른 업링크 송신들에 관한 정보를 포함한다. Channel condition information, the uplink reception beam forming using a beam pattern similar to the beam pattern to the number of the error rate, re-transmission of a user equipment for the transmission of the location information, the user equipment of the user equipment, and downlink transmission and in addition it includes information about the uplink sounding or other uplink transmissions. 제2 구성에서, 사용자 장비는 도 6에서 사용될 적절한 코드북 서브세트를 선택할 수 있으며, 사용자 장비는 2-Tx 2 송신 안테나 시스템에 대한 총 9개의 상이한 코드워드 중에서 선택할 수 있다. In the second configuration, the user equipment can also select the appropriate codebook subset to be used in June, the user equipment may be selected from a total of nine different code words for the two-transmitting antenna system Tx 2. 사용자 장비는 어느 코드북 서브세트가 선택되었는지를 암시적으로 또는 명시적으로 지시하는 지시자를 전송한다. The user equipment sends an indication that implicitly or explicitly tell whether any codebook subset is selected. 제2 구성에서 서브세트 선택은 도 6에 도시된 코드워드들로부터 선택된 코드워드에 따라 상위 계층 활성화를 통해 지시될 것이며, 서브세트 내의 선택된 코드워드의 인덱스는 정상적인 PMI 피드백 지시자 필드 값을 통해 2 비트를 사용하여 시그널링된다. In the second configuration subset selection will be dictated by the higher layer activation depending on the codeword selected from the codewords shown in Figure 6, the index of the code word selected in the subset is 2 bits through the normal PMI feedback indicator field value use is signaled. 이러한 접근 방식을 지원하기 위해, 다운링크 및 업링크 시그널링 양자에 대한 PMI 지시자는 2 비트를 필요로 한다. To support this approach, the downlink and uplink signaling PMI indicator for both requires two bits. 대안으로서, 도 7에 도시된 코드북이 위의 도 4 또는 5에 도시된 다양한 코드북을 대체할 수 있다. As an alternative, it is possible to replace the various codebook illustrated in Figure 4 or 5 of the above codebooks shown in Fig. 전술한 도 4-7의 코드북들을 사용하는 대신에, 본 발명은 도 8 및 9에 도시된 코드북 서브세트들의 사용도 지원하며, 이들 중 어느 것도 위의 구성들에서 사용될 수 있다. Instead of using the code book of FIG. 4-7, the present invention can be used in the above configuration, one of the supports, and their use of the codebook subset shown in Figs. 8 and 9 also. 즉, 도 8 및 9의 코드북들은 2개의 구성을 이용하여 선택될 수 있다. That is, the codebook in Figs. 8 and 9 may be selected using two configurations. 일 구성에서, 접속 포인트(기지국/안테나)는 사용자가 위치하는 섹터에서 사용하기 위해 도 7 및 도 8 또는 9에 도시된 2개의 서브세트 중 하나를 선택할 수 있다. In one configuration, the access point (base station / antenna) may select one of the 7 and the two subsets shown in Figure 8 or 9 for use in the sector that the user is located. 접속 포인트는 도 8 또는 9에 도시된 코드북만을 이용하는 것 등에 의해 동일 섹터 내의 모든 사용자 장비에 대한 서브세트 코드북을 선택한다. Access point selects a subset codebook for all user equipment in the same sector example by using only the codebook shown in Fig. 8 or 9. 접속 포인트는 사용자 장비의 채널 조건에 대한 소정의 지식에 기초하여 사용자 장비에 대한 코드북 서브세트를 선택한다. Access point based on a predetermined knowledge of the channel conditions of the user equipment selects the codebook subset for the user equipment. 채널 조건 정보는 사용자 장비의 위치 정보, 사용자 장비로의 송신들에 대한 에러 레이트, 사용자 장비로의 재송신들의 수, 및 다운링크 송신에 대한 빔 패턴과 유사한 빔 패턴을 사용하는 업링크 수신 빔 형성과 더불어 업링크 사운딩 또는 다른 업링크 송신들에 관한 정보를 포함한다. Channel condition information, the uplink reception beam forming using a beam pattern similar to the beam pattern to the number of the error rate, re-transmission of a user equipment for the transmission of the location information, the user equipment of the user equipment, and downlink transmission and in addition it includes information about the uplink sounding or other uplink transmissions. 제2 구성에서, 사용자 장비는 도 8 또는 9에서 사용될 적절한 코드북 서브세트를 선택할 수 있으며, 사용자 장비는 2 송신 안테나(2-Tx) 시스템에 대한 상이한 코드워드들 중에서 선택할 수 있다. In a second configuration, the user equipment may select the appropriate codebook subset to be used in Fig. 8 or 9, the user equipment can select between the different code words for the second transmit antenna (Tx-2) system. 사용자 장비는 어느 코드북 서브세트가 선택되었는지를 암시적으로 또는 명시적으로 지시하는 지시자를 전송한다. The user equipment sends an indication that implicitly or explicitly tell whether any codebook subset is selected. 제2 구성에서 서브세트 선택은 도 7, 및 도 8 또는 도 9 중 하나에 도시된 코드워드들로부터 선택된 코드워드에 따라 상위 계층 활성화를 통해 지시될 것이며, 서브세트 내의 선택된 코드워드의 인덱스는 정상적인 PMI 피드백 지시자 필드 값을 통해 2 비트를 사용하여 시그널링된다. A second configuration in will be directed through the higher layer activation depending on the codeword selected from the codewords shown in a selection of 7, and 8 or 9 subsets, an index of the code word selected in the subset is normal through PMI feedback indicator field value it is signaled using 2 bits. 이러한 접근 방식을 지원하기 위해, 다운링크 및 업링크 시그널링 양자에 대한 PMI 지시자는 2 비트를 필요로 한다. To support this approach, the downlink and uplink signaling PMI indicator for both requires two bits. 또한, 접속 포인트는 사용자가 위치하는 섹터에서 사용하기 위해 도 10 및 11에 도시된 바와 같은 더 큰 코드북 서브세트 표를 사용할 수도 있다. In addition, the access point may use a larger codebook subset table as shown in Figures 10 and 11 for use in the sector that the user is located. 접속 포인트는 도 10 또는 11에 도시된 코드북만을 이용하는 것 등에 의해 동일 섹터 내의 모든 사용자 장비에 대한 코드북을 선택한다. Access point selects a codebook for all user equipment in the same sector example by using only the codebook shown in Figure 10 or 11. 이러한 접근 방식을 지원하기 위하여, 안테나 선택 코드워드들을 갖는 오리지널 코드북이 3 비트를 이용하여 최적화될 것이며, 다운링크 및 업링크 시그널링 양자에 대한 PMI 지시자는 증가된 수의 코드워드들의 적절한 선택을 허가하기 위해 3 비트를 필요로 한다. To support this approach, will be the original codebook having an antenna selection code word optimized using three bits, the downlink and uplink signaling PMI indicator for both is to allow the appropriate selection of the code words of an increased number to require three bits. 이러한 구성에서의 코드북 서브세트의 선택은 무선 자원 구성(RRC) 시그널링을 이용하여 구성될 수도 있으며, 시스템에 의해 설정된 다른 디폴트 코드북 서브세트들 대신에 도 10 또는 11의 코드북들의 사용을 선택할 수 있다. Selection of the codebook subset in this configuration may be configured using a configuration a radio resource (RRC) signaling, it is possible to select the use of the other default codebook a codebook of 10 or 11 in place of the subsets is set by the system. 접속 포인트는 또한 사용자 장비의 채널 조건에 대한 소정의 지식에 기초하여 사용자 장비에 대한 코드북 서브세트를 선택할 수 있다. Access point may also be based on a predetermined knowledge of the channel conditions of the user equipment to select the codebook subset for the user equipment. 채널 조건 정보는 사용자 장비의 위치 정보, 사용자 장비로의 송신들에 대한 에러 레이트, 사용자 장비로의 재송신들의 수, 및 다운링크 송신에 대한 빔 패턴과 유사한 빔 패턴을 사용하는 업링크 수신 빔 형성과 더불어 업링크 사운딩 또는 다른 업링크 송신들에 관한 정보를 포함한다. Channel condition information, the uplink reception beam forming using a beam pattern similar to the beam pattern to the number of the error rate, re-transmission of a user equipment for the transmission of the location information, the user equipment of the user equipment, and downlink transmission and in addition it includes information about the uplink sounding or other uplink transmissions. 또한, 신호 강도 가중치들의 적용은 안테나 빔 지시자를 이용하여 최적화될 수 있다. In addition, the application of the signal strength weighting can be optimized by using an antenna beam indicator. 이 지시자는 업링크 또는 다운링크 송신 패킷들 내의 필드일 수 있다. The indicator may be a field in the uplink or downlink transmission packet. 그러한 지시자의 길이(비트들의 수)는 네트워크 위치에서 이용 가능한 안테나들의 수에 의존할 것이다. The length of such an indicator (number of bits) will depend on the number of antennas available at the network location. 2 비트 아키텍처에 대해서는 1 비트 길이로 충분하며, 최대 4개의 안테나를 지정하는 것은 2 비트로 충분하다. 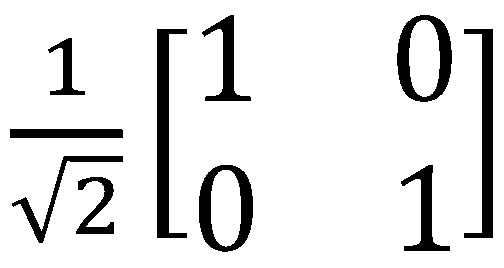 For the 2-bit architecture with sufficient bit length, and, assigning a maximum of four antennas is sufficient two bits. 안테나 빔 지시자는 각각의 비트가 사용자 장비와 통신하는 데 사용될 수 있는 이용 가능한 빔들 중 하나를 식별하는 비트 맵에 따라 지정될 수도 있다. Antenna beam indicator may be designated according to the bit map that identifies one of the available beams with the respective bit may be used to communicate with the user equipment. 특정 빔 위치에 기초하여, 사용자 장비는 어느 빔이 그 사용자 장비에 대한 최상의 커버리지를 제공할 수 있는지를 지시하는 지시자 비트 값 또는 비트 맵 값을 제공할 것이다. Based on a particular beam position, the user equipment may provide any beam indicator bit or value bitmap value indicating whether it can provide the best coverage for the user equipment. 특정 기간 동안의 그러한 안테나 빔 지시자의 사용은 사용자 장비 이동도에 의존할 것이며, 그러한 지시자는 더 느리게 이동하는 사용자 장비에 대해 더 오래 유효하고, 더 빠르게 이동하는 사용자 장비에 대해 더 짧은 기간 동안 유효할 것이다. The use of such an antenna beam indicator over a given time period is a user equipment will be dependent on the mobility, and such indicator to more slowly moving valid for a shorter period for the user equipment to longer valid for the user equipment, and move more quickly to will be. 따라서, 안테나 빔 지시자는 변화에 대응하여 주기적으로 갱신되는 것이 필요하다. Thus, the antenna beam indicator needs to be periodically updated in response to changes. 안테나 빔 지시자의 사용은 사용자 장비로부터의 사운딩, 랜덤 액세스 또는 다른 타입의 업링크 송신들의 분석과 같은 업링크 송신 조건의 추정을 통해 가능해진다. Use of an antenna beam indicator is made possible through the estimation of the uplink transmission conditions, such as sounding, random access or other types of analysis of uplink transmissions from the user equipment. 액세스 포인트는 SDMA 프로토콜들을 이용하여 사용자 장비에 대한 빔 인덱스를 결정하기 위해 방향 발견 알고리즘을 이용할 수도 있다. The access point may also be used for direction finding algorithm using SDMA protocol to determine the beam index of the user equipment. CQI 인덱스를 이용하여 선택 정보를 액세스 포인트에 제공할 수 있으며, 액세스 포인트는 또한 사용자 장비에 대한 서빙 빔의 신호 대 간섭 및 잡음 비 및 식별을 분석할 수 있다. You can use the CQI index to provide selected information to an access point and an access point may also analyze the signal to interference and noise ratio and identification of the serving beam for the user equipment. 스위칭 빔들 또는 기회적(opportunistic) 빔들(예컨대, OSTMA)을 갖는 시스템들에서, 사용자 장비는 스위치(파워) 온된 빔의 커버리지 영역 내에 있을 때 CQI 인덱스를 제공한다. In switching beams or opportunistic (opportunistic) systems having beams (e.g., OSTMA), the user equipment provides a CQI index when it is in the coverage area of ​​ondoen beam switch (power). CQI가 액세스 포인트에 의해 수신된 시간에 기초하여, 빔 인덱스가 암시적으로 결정될 수 있는데, 이는 액세스 포인트가 빔 패턴을 알기 때문이다. The CQI is based on the time received by the access point, there is a beam index can be determined implicitly, since the access points know the beam pattern. 전술한 바와 같은 기술은 폐루프 동작들에서 UE 피드백을 위한 추가 코드북들의 구성을 허가하며, 따라서 더 적절한 코드북이 상이한 안테나 구성들, 예컨대 상관된, 상관되지 않은 또는 교차 분극된 안테나 시스템들을 지원하는 데 사용될 수 있다. Technology as described above and permit the structure of the additional code book for UE feedback in closed-loop operation, and thus to a more appropriate code book different antenna configurations, e.g., correlated, uncorrelated or to support the cross-polarized antenna system It can be used. 상이한 전개 시나리오들, 예를 들어 상관된, 상관되지 않은 또는 교차 분극된 안테나 시스템들에 유리한 다양한 안테나 구성들의 지원을 허가하기 위해, LTE-Advanced가 폐루프 동작들에서 UE 피드백을 위해 사용될 추가 코드북들을 지원할 수 있다. Different deployment scenarios, e.g., correlated, additional code book used for UE feedback in order to permit the support of the beneficial different antenna configuration on the uncorrelated or cross-polarized antenna systems, LTE-Advanced is in closed-loop operation It can support. 역방향(backward) 호환성을 위해, 상위 계층(RRC) 시그널링을 이용하여, UE 능력, 예컨대 Rel-8 UE들 또는 LTE-A UE들, 및 전개 구성, 예를 들어 상관된, 상관되지 않은 또는 교차 분극된 안테나 시스템들에 따라 UE들의 일부 또는 전부에 의한 상이한 코드북의 사용을 편리하게 구성할 수 있다. For reverse (backward) compatibility, using the upper layer (RRC) signaling, UE capability, such as in Rel-8 UE or LTE-A UE, and a deployed configuration, e.g., correlated, uncorrelated or cross-polarized in accordance with the antenna system it can be easily configured to use a different codebook according to some or all of the UE. 코드북이 구성 가능하므로, 전개된 시스템에서 더 큰 용량이 필요할 때, 더 큰 UE 고유 코드북이 구성될 수 있다. Since codebook is configurable, if you need more capacity in a deployed system, the larger UE-specific codebook can be configured. 그렇지 않은 경우, UE 복잡성을 최소화하기 위해 더 작은 코드북이 사용될 수 있다. Otherwise, a smaller code book can be used to minimize the UE complexity. 위의 설명은 본 발명의 특정 실시예와 관련되었지만, 본 발명의 원리들 및 사상으로부터 벗어나지 않고 이 실시예의 변경들이 이루어질 수 있으며, 본 발명의 범위는 첨부된 청구항들에 의해 정의된다는 것을 이 분야의 기술자들은 알 것이다. The above description has been in connection with a particular embodiment of the invention, may be made to example changes made without departing from the principles and spirit of the invention, the art of the scope of the invention being defined by the appended claims technicians will know. 상기 기지국의 또 다른 섹터 내의 하나 이상의 UE 장치들에 대하여, 상기 기지국은 상기 하나 이상의 안테나 선택 코드워드 중 적어도 하나로 사전 코딩되는 제2 다운링크 신호들을 전송하는, 기지국 동작 방법. Also for one or more UE devices in the other sectors, the base station, wherein the base station operable to transmit a second downlink signal to be pre-coded into at least one of the one or more antenna selection code word of the base station. 상기 UE 장치들 각각으로부터의 상기 PMI 피드백은 2 비트 인덱스인, 기지국 동작 방법. In the PMI feedback is a 2-bit index from the UE device, respectively, a method of base station operation. 을 포함하는, 기지국 동작 방법. Method, the base station operation including the. 상기 UE 장치들 각각으로부터의 상기 PMI 피드백은 2 비트 인덱스인, 기지국. The PMI feedback from the UE device, each of the base station 2-bit index. 을 포함하는, 기지국. , The base station comprising a. 비일시적 메모리 매체. Non-transient memory medium.